You like to be prepared. we get it. Us, too! That's why we've compiled the most common questions we're asked on this page. Is there something you're still wondering after reading through our FAQs? Submit it at the very bottom of the page, or register for our next online info session to ask Sasha, Trail Mavens' founder, directly. WHAT IS A TRAIL MAVEN? A Trail Maven is a trusted expert in camping and backpacking skills, who seeks to pass knowledge on to others. In this case, she's also female, and wants to expand her skills, know-how, and network by spending time in the outdoors with other spectacular women. She's always looking for ways to be a little more badass. WHAT WILL I LEARN ON A TRAIL MAVENS TRIP? We believe in learning by doing. Our camping trips are great for beginners and experienced outdoorswomen alike, and you'll get to teach, learn and practice knowledge areas including camp setup, camp cooking, Leave No Trace principles, map reading, and campfire building (pending park regulations). Our backpacking trips are great for adventurous beginners and experienced outdoorswomen. You'll teach, learn and practice knowledge areas including bag packing, backcountry cooking, map reading, Leave No Trace principles, and water purification. Of course, that doesn't begin to touch the learning that happens through conversation. In recent trips, we've covered topics like salary negotiation, s'mores 2.0, must-watch documentaries, what it means to age gracefully, and killer avocado smoothie recipes. Brene Brown almost always comes up. + WHAT'S THE DIFFERENCE BETWEEN CAMPING AND BACKPACKING TRIPS? Camping trips involve driving to a state or national park, pulling into a campsite, and setting up our home for the weekend there. We explore beyond the confines of our campsite on day hikes, kayaking trips, etc. Camping trips involve more amenities - pit or flush toilets, nearby potable water spigots, and in some (rare) cases, even showers! Because we only have to carry our belongings a few dozen feet from our cars to our campsite, we can bring bulkier items like two-burner stoves, pillows from home, and cast iron skillets. 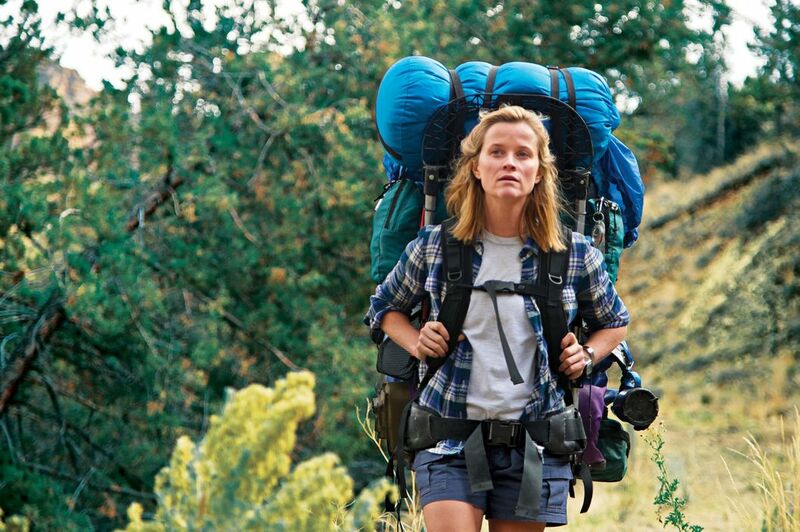 On backpacking trips, we carry everything we need for the weekend on our backs (think Cheryl Strayed in 'Wild'). We'll drive to a trailhead, pack all our gear (sleeping bags, tents, food, water, clothes, etc.) into large backpacks, and camp somewhere along the trail. Because of the additional weight, backpacking trips are more physically rigorous, and require us to pack minimally, carry out all our garbage, purify our own water, and dig holes to poop in. + How long are these adventures? The vast majority run Friday evening to Sunday evening, or Saturday morning to Sunday evening, so you don't have to sweat about taking time off work. For destinations that are a bit further afield - think Yosemite, Death Valley, the Lost Coast - we do sometimes take a Friday or Monday off work, since it just wouldn't be right to explore those places for any less than three days. + WHAT SHOULD I BRING/NOT BRING ON MY ADVENTURE? If you've got your own sleeping bag, sleeping pad, headlamp, backpack, and mess kit, we encourage you to use them! Don't own any outdoor stuff? We got you. You're just in charge of your personal effects and a sleeping bag liner to keep your borrowed one (so) fresh and (so) clean. Trail Mavens will take care of the rest: tents, camp chairs, stoves, fuel, firewood, Pinot Noir, marshmallows, First Aid, etc., and you'll receive a detailed packing list after registration. + How do you deal with health and safety in wilderness settings? We take participant health and risk management very seriously on our trips. All Trail Mavens primary leaders hold Wilderness First Responder certifications. In remote destinations, we carry a DeLorme two-way texting device, allowing us to contact authorities and Trail Mavens HQ in case of emergency. Before registering, please read the terms of conditions of Trail Mavens' release. Any questions about participant health and risk management on our trips? Contact hello@trailmavens.com. + WHAT kind of gear do you provide? We pride ourselves on not skimping - except maybe a little on sleep when the conversation's too good to pass up, or the sunrise will be amazing - and gear is no exception. We use award-winning gear, because whether it's your first or fortieth time outdoors, you're going to be a happier camper if your gear is as awesome as you are. + Is it weird if I sign up by myself? Not at all! The majority of ladies who come on our trips come solo, because they're excited about meeting new adventure buddies. Here's the cool thing: Trail Mavens only draws positive, thoughtful, adventurous women, just like you. If you and your best bud are both excited about the same adventure, though, no worries! We have a set of friends on many of our trips. + How many women are on each trip? Over and over, we hear that our alumnae are blown away by the feeling of community they get on Trail Mavens trips, and that's just not possible in huge groups. We max out at ten ladies (eight participants, two leaders) on camping trips, and eight (six participants, two leaders) on backpacking trips. + How old/young do I need to be to participate? We get this one a lot! Trail Mavens is for women across generations. Most of our participants are between 25 and 60, but we've had women between the ages of 18 and 72 join our adventures. Bottom line: if you a) can vote and b) are comfortable with the activity levels described for a given trip, this is for you. + How does transportation work? Participants are responsible for their own transportation to and from Trail Mavens locations, and we help coordinate carpools for ladies leaving from the same area. Each passenger contributes to her driver to cover gas, wear, and tear. Want even more detail? We created a separate Transportation FAQ. + WHAT SHOULD I KNOW ABOUT THE OUTDOORS BEFORE GOING ON A TRIP? Nothing! We don't require you to have a baseline level of knowledge, but we do require you to have a baseline sense of adventure and a willingness to try new things. If there's no way you'd ever sleep outside, our trips probably aren't for you. If you've never tried it, but are curious what it's like to fall asleep to the sound of the wind rustling through leaves, these trips are right up your alley. Trail Mavens is a safe space for you to get your hands dirty and probably mess up a couple times in a group of awesome people who'll support you no. Matter. What. + I'M ALREADY A BADASS OUTDOORSWOMAN. ARE THESE TRIPS FOR ME, TOO? Heck yeah! All kinds of women adventure with us, from novices to former wilderness guides. There's no such thing as 'too experienced' for Trail Mavens. We welcome rad women of all stripes, and teaching opportunities abound for those of you who want to pass your knowledge on to other outdoor aspirants. Regardless of your outdoor ability level, plan on learning a ton from your fellow Mavens. + I'M an introvert/extrovert. What about me? Once again, heck yeah. Our trips let you choose your own adventure. If you want to talk late into the night, sharing stories and secrets around the campfire embers, you can. If you want to spend our afternoon hike hanging contentedly with your thoughts and breath and footsteps, you can. We get (amazing) women of all kinds on our trips. Their common factor? They're all willing to be real. + What are the food and sleeping arrangements like? You probably guessed this, but we'll be sleeping in two- or three-person tents. You'll share your tent with 1-2 other awesome trip participants. We're strong believers in delicious food to fuel adventure, and take care to create healthy, tasty menus (think oatmeal and berries before a big hike, or fire-roasted corn with couscous and veggies for dinner). We're happy to plan around our vegetarian and vegan Trail Mavens. + What if I have a food allergy or dietary restriction? Gluten-intolerant? We've got you covered! However, because planning gluten-free meals requires us to shift our plans for the entire group, we ask that you note it during registration only if it presents a health issue for you, rather than an inclination. If you've got a severe food allergy, we can guarantee meals free of your allergy (as long as you tell us what it is on your registration form! ), but not snacks that haven't been processed in a plant with that particular ingredient, or a sterile environment free of traces of it (You never know what the last kid who stayed at our campsite smeared on the picnic table!). If you have an allergy that can cause anaphylaxis, please let us know on your registration form, and please bring your epi-pen with you! + How much weight can I expect to carry on a backpacking trip? This depends a lot on what personal items you choose to bring! If you stick to our pre-trip packing lists, your personal gear plus your share of Trail Mavens communal gear often comes out to somewhere between 27-35 pounds. On any backpacking trip, you should aim to carry no more than 25-33% of your body weight, and we come in well under than for more participants. + What if it's supposed to be cold/rainy/snowy? Except in the most extreme cases, we run trips rain or shine! If rain or snow is in the forecast, you'll be given a modified packing list to prepare for it. Since everybody is different, it’s up to you to check out the weather forecast and judge your personal comfort levels. Please use your own judgement when packing: if you’re always cold, pack heavier extra layers (i.e., leggings to go under pants). We'll provide a snapshot of the weather forecast before a trip, but can't say "It's going to be cold/hot" since feeling cold or hot is a subjective experience. Bottom line: you know your own body best. Stay on top of the forecast, and decide what you personally need to do/bring to stay comfortable. + How do I know if I'm physically prepared for each trip? Much like your own personal tolerance to the elements (cold/heat/precipiation), every body is different when it comes physical endurance. For every trip, we post the distance and elevation gain for each hike that you'll do on the trip information page. Read all of the trip details carefully before signing up, and use your best judgement to decide if that particular itinerary is a good fit for you. You'll notice we've assigned an Activity Rating for each trip, but since this is so subjective, we ask that you pay closer attention to the actual hike distances and climbs and decide what that means for you! Read about our Essential Eligibility Criteria for more info. If you're still unsure, feel free to email us at hello@trailmavens.com. We'll take the time to learn more about you, and offer our expertise to help you decide! + Do you offer gift certificates? I'd like to give someone a trip as a gift! Yes indeed! Trail Mavens gift certificates are available here. + Are there membership fees? Nope! There are no fees to be a part of the Trail Mavens community. Each trip is priced individually, and that price varies based on duration, venue, and trip type. The regular and early-bird prices can be found on the registration page for each trip. Check out what's coming up here! Our local day hikes and happy hours are free. BY PARTICIPANTS: In the event of participant cancellations, Trail Mavens cannot issue cash refunds; instead we offer vouchers to be put towards future trips. 21+ days prior to trip departure date: 50% of investment issued as a voucher. 14-20 days prior to trip departure date: 25% of investment issued as a voucher. 0-13 days prior to trip departure: No vouchers issued. BY TRAIL MAVENS: In addition to altering itineraries, Trail Mavens reserves the right to cancel any trip due to insufficient registration or unforeseen circumstances (such as closures due to snowpack, landslides, etc.). In the event Trail Mavens decides to cancel a trip, you will receive a full cash refund of your trip investment. Trail Mavens is NOT responsible for any other expense incurred by participants, such as airfare or lodging, in the event of a trip cancellation. Trail Mavens may cancel trips up to the last day of registration, 5 days before a trip is scheduled to begin. AFTER A TRIP: Trail Mavens does not offer refunds or vouchers after a trip has already been completed. THIS SOUNDS AWESOME, BUT I'M A DUDE. CAN I COME? No can do, unfortunately. We've talked to a lot of women about their experiences camping and backpacking, and we all seem to have more fun without you around. Kidding! Seriously, though, there's something magical about the kind of conversations that emerge on the trail or around the campfire, and the level of honesty and candor we see when those groups are all-female is pretty hard to beat. Did we miss a critical question? let us know! if you're wondering about it, we bet a dozen other women are too. Thanks. We'll get back to you within a day or two with your answer!